Entering the month of March we finally feel like spring time is closing in, even up here in the northern parts of Sweden. 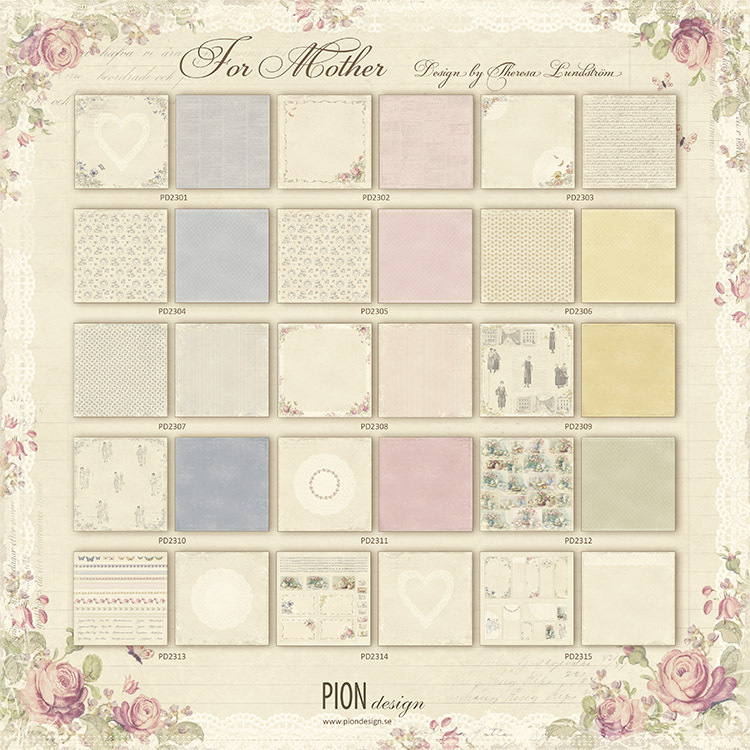 And when we laid eyes on the adorable creations our amazing Design Team has crafted with the collection For Mother, we felt as if all the delicate flowers and soft colors almost wiped away all the snow covering the ground! Here in Sweden spring time also means Mother’s day, and this collection is perfect when celebrating a mother, daugther or someone else precious to us. So we simply couldn’t think of a better way to start up March than with a For Mother theme to share this reminiscence of spring time and to inspire you to capture those priceless memories. 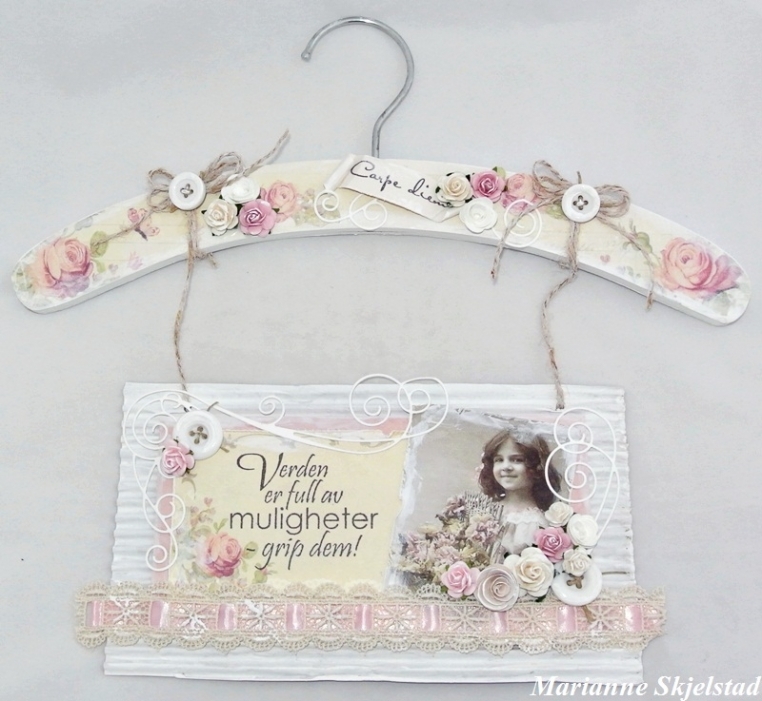 First out is a wall decoration by Marianne, enjoy! Hi! Today I have a wall decoration to show you, made out of wood and corrugated cardboard. The papers are from the collection For Mother and the vintage picture is from From Grandma’s Attic ~ Tinted. The hanger is decorated with the paper Mother’s day rose so that the corner of the paper is placed in each end of the hanger. For the picture I have used corrugated chipboard painted with Gesso. In one of Pions frames I have stamped a text. 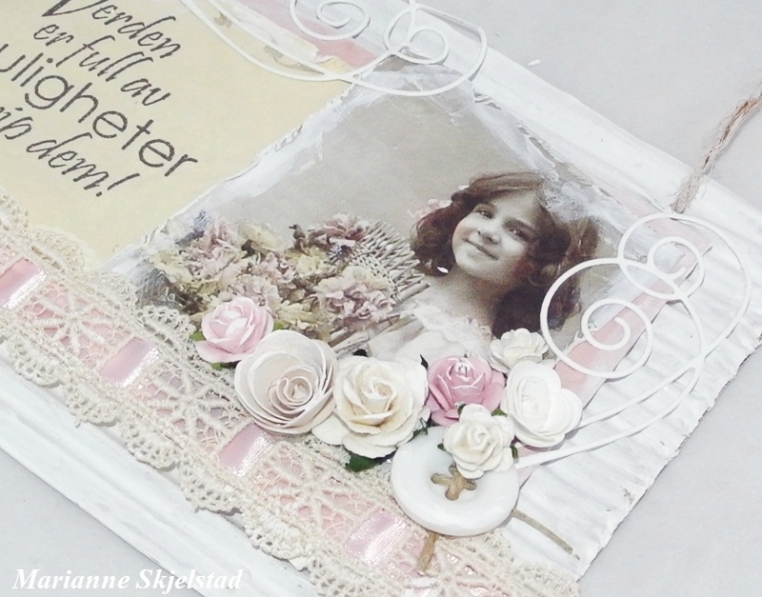 For decoration I have used ties, roses, swirls and buttons and all details and edges are painted with a little Gesso.